Spanning back generations, Fred. Olsen Cruise Lines have been sailing across the world’s oceans since 1848. Today the company is led by one of the founder’s great grandsons. The fifth generation Fred. Olsen Jnr is currently at the helm of the business. This family owned, and managed cruise line has clearly identified its key market. The cruise lines products, services and itineraries are expertly targeted towards the more mature cruise travel market. Typically, on a Fred. Olsen cruise you will find that most of your fellow cruisers will be British. Cruises departing from one of the five UK departure ports will have as much as 90% British cruisers on board. On a Fred. Olsen cruise the entertainment, services, products and amenities are aimed squarely at the British market, oh and including those little touches (like a kettle, tea and coffee station in your cabin), that we Brits enjoy on our holidays. So, what differentiates a Fred Olsen cruise from all the others in the market place? Itineraries – Fred. Olsen cruises to over 200 destinations world-wide. With smaller ships, Fred. Olsen Cruises offers ports of call that the larger cruise liners simply cannot visit, allowing for many unique cruise destinations. In addition, the smaller ships can cruise through narrower channels to get those destination ports less frequented by other cruise companies. Staff – The staff are excellent, well trained, passionate and they deliver a truly genuine friendly and efficient service. What amazed me, was the number of staff that had long service with the cruise line. Such a good indicator of the cruise lines values and ethos, in my humble opinion. Passengers enjoy familiarity, being recognised and acknowledged as a returning guest, and the Fred Olsen staff excel at exactly that. The number of guests cruising multiple times on a cruise is remarkable. I believe you can always tell a well-run operation by the staff, and Fred Olsen crew are most accommodating. Five UK Departure Ports – Apart from ‘fly and cruise’, Fred. Olsen offers a choice of five departure ports across the UK, well spread out across the country. The ports include: Rosyth, Newcastle (Port of Tyne), Liverpool, Dover and Southampton. This allows customers to select a variety of cruises originating in the UK and avoiding the necessity for a flight. Demographics – Fred. Olsen Cruise Lines targets guests from the more mature cruise travel market. There are no kids’ clubs and other children facilities on board. However, their awesome itineraries do attract a lot of middle-aged cruisers too, who seek out those destinations less frequented by other competitor cruise companies. I would recommend a Fred. Olsen cruise to anyone over 50 years, but if you enjoy the company of the wiser, older generation and you have specific destinations you want to cruise to, it’s certainly a great cruise holiday option. Distinctly British – The ambience on board is proudly traditionally British. The entertainment, cuisine and drinks selections are geared towards the British market. Known as the ‘friendliest fleet afloat’, more than 50% of Fred. Olsen passengers have cruised before with the cruise line. Why Choose a Fred Olsen Cruise? Smaller Ships – Smaller ships are not just getting you into more ports, they can sail in narrower channels allowing you access many destinations the larger cruise lines simply cannot get to. More Intimate – Fred. Olsen’s four cruise ships carry far less passengers than most of the main stream cruise liners. Having less passengers on board, makes the cruise experience that more personal. Awesome Crew – The Balmoral is the largest ship in the Fred. Olsen fleet carrying 1,350 passengers with 510 crew on board. The crew, as I have stated earlier, truly are well trained and super friendly and efficient. Ideal for Singles – Fred. Olsen recognises the demand for solo travellers and the Balmoral caters for singles by offering 49 cabins for single use. Across the Fred. Olsen fleet there are 190 cabins designated as single use cabins. Revamped – The fleet of 4 ships have all undergone a major refurbishment in the last few years and the result is a pleasing, brighter and more colourful interiors, which I think really works. The cabins are well-appointed with a selection of accommodation ranging from single interior cabins through to stylish suites. The ship is more dated than the newer cruise ships on the market, but Fred. Olsen is targeting a specific market and they do it well. I was not mad about the goldish, glittering foyer and staircase, but in honesty that is my personal taste. Most people loved it. The restaurants and common areas are neatly decorated, bright and inviting. The quirky art collection distributed around the ship, which apparently makes up part of the owner’s personal collection, is varied and most interesting, there some great art works to admire. Entertainment – The Neptune Lounge is well designed and perfect for enjoying a show with friends. The seats swivel allowing patrons to form a small group during intermissions. Entertainment on board includes cabaret acts, musicians, vocalists, magicians and comedians. The Balmoral Show Company presents various West End shows and the resident Balmoral Orchestra provides daily music for your enjoyment and dancing pleasure. The Neptune Lounge is also used for lectures covering a vast selection of topics and themes. Atlantis Spa & Salon – Get pampered while away. The glorious spa is small and intimate, but it has everything you need, catering for both men and women. Treatments include facials, massage and body wraps. The Balmoral has a team of hair stylists on board in the salon. Book early, the massages are very popular. The Ballindalloch Restaurant – This is the main restaurant on board offering breakfast and lunch as buffet, with a more formal, full service, al a carte at the evening meal. Spey and Avon Restaurants – The Highland deck is where you will find these two restaurants, located alongside each other. Both offer stunning views out to sea and provide options for breakfast, lunch and dinner. Palms Café – Palms Café provides guests with an inviting space in which to enjoy a slightly less formal style of dining. The Palms Café offers a relaxed buffet style of service. Afternoon Tea – A complimentary afternoon tea is served daily, with sandwiches, scones and cakes, along with fresh tea and coffee. The Balmoral offers a Traditional Premium Afternoon Tea on select days in the stylish Observatory Lounge with musical accompaniment from the on board pianist and the careful attention of a brigade of white-gloved waiters. The additional charge is just £8.95 per person and includes a selection of premium teas by Taylors of Harrogate served in porcelain teapots, along with elegant finger sandwiches, pastries and warm scones with jam and clotted cream. Room Service – All rooms and Suites have tea and coffee making facilities as standard, so you can enjoy a pick-me-up first thing, and a relaxing cuppa at the end of the day. Room service is available up until 11pm every day. There is an additional charge payable to book the speciality restaurants, the costs are reasonable and certainly worth the little extra. Ideal for a special occasion. The Grill – There are two speciality restaurants on board for which there is a cover charge and booking is essential. Just £20 per head, you could be tucking into a seriously fine steak or a juicy lobster at The Grill Restaurant. The Poolside – The Poolside is an exclusive venue for very special indoor and al fresco dining. Bars and Lounges – I think Fred Olsen have the most reasonable prices at sea. The selection and variety of liquor is good and there are drinks packages available too at really good value. 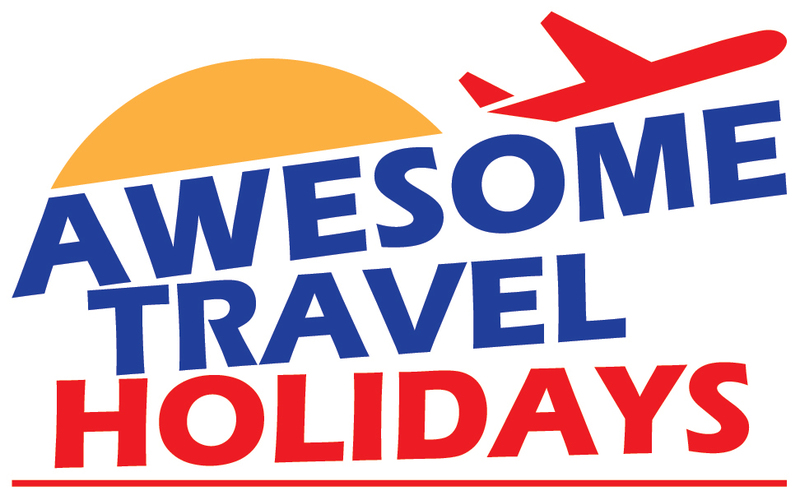 Just £15 per person, per day for cruises over 4 days and £34 per person for cruises less than 4 days. Observatory – I think this was my favourite place onboard. Not because it’s the bar, but the views are just amazing. As Balmoral is an older ship there was clearly less pressure to utilise every square inch, so with plenty windows the views are really awesome. Marquee Bar – Ideally located on Deck 11 alongside the pool and deck area. Sit back and enjoy a cocktail or two and watch the world sail by. Lido Bar – The Lido Lounge & Bar is the perfect place to unwind after a day of exploring ashore, or while away some time at sea. Morning Light Pub – Decorated to resemble a British pub or inn, the Morning Light Pub has a welcoming atmosphere and charming traditional style. Open throughout the day and the evening, it’s the ideal place to relax and socialise with friends both old and new. The Bookmark Café – The Bookmark Café serves a selection of delicious speciality coffees – espresso, cappuccino, mocha, iced lattes and more – along with quality tea blends. You’re sure to be tempted by the heavenly fresh chocolates too. From pralines to Champagne truffles, these melt-in-the-mouth treats are too good to miss. Cabins – There is a reason why the suites are pricier, but if you have the budget, book it. Particularly awesome were suites 1017 and 1019, spacious and well laid out with large balconies. Having said that the accommodation is comfortable, and they have recently upgraded the entertainment system, so you can tune into BBC and SKY as well as a selection of movies on demand. Pools – Deck 7 and 11 is where you will find the swimming pools, so plenty space to catch a tan or take a dip. There are also Jacuzzis to lie back and relax alongside the pools. Activities – On deck 11 you will find the Golf Nets, ideal to work on your swing while cruising over the ocean. There is also a fitness centre with yoga classes, Pilates and fitness instructors. For the less active there is a well-stocked library, card room and gaming tables. Enjoy a selection of lectures, often relevant to the area you are cruising, and some great quizzes. RIB Tours – A welcome addition to the Balmoral is the new RIB Tours. These exciting little boats get you up close and personal to places previously less accessible. Visit an untouched beach or venture further up a stunning fjord where the ship cannot access. It’s a great way to see things on or by the ocean that regular cruise line guests never see. World-wide destinations include: Amazon, Arctic, Asia, Baltic, British Isles, Canary Islands, Caribbean, Europe, Greenland, Iceland, Indian Ocean, Mediterranean, Norway, Scandinavia, South Africa, South America and Thailand.